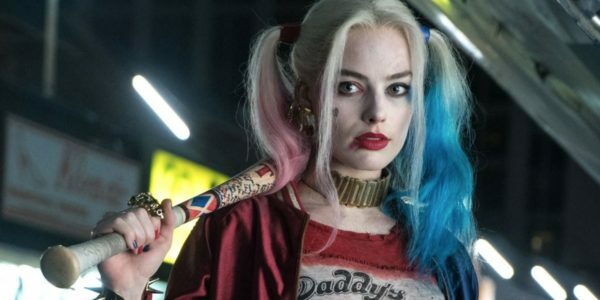 With three films to chose from – Gotham City Sirens, Suicide Squad 2 and the proposed Joker/Harley movie – Margot Robbie feels that she will return as Harley Quinn by next year. I think next year I’ll be back in the fishnets wielding a baseball bat. I hope,” said Robbie, before being asked which film it would be for: “Your guess is as good as mine at this point. I don’t know.” Read more here. Thanks to Topps’ series of trading cards, we’ve got a brand new look at a selection of the heroes and villains of December’s hugely-anticipated Star Wars: The Last Jedi. Check them out here. Fantastic news for horror fans as the Stephen King adaptation of It has scored big at the box office. Domestically, the Andy Muschietti-helmed film pulled in a whopping $117 million in North America – a record for the largest September opening (previously held by Hotel Transylvania 2 on $48.5 million) and largest horror opening (previously held by Paranormal Activity 3 on $52.6 million). It’s also the second-biggest R-rated opening of all time after Deadpool ($132.4 million) and the third biggest opening of the year after Beauty and the Beast ($174.8 million) and Guardians of the Galaxy Vol. 2 ($146.5 million). Overall It has earned around $179 million worldwide. Read more here. And as expected, the big box office results have led to screenwriter Gary Dauberman to return for an It sequel with Muschietti ready to sign on to return to the director’s chair. The film will look at The Losers’ Club 27 years later, but could include flashbacks with the kids from this outing. Read more here. Some potential spoilers for Avengers 4, but MCU Exchange have some possible scoops on Hawkeye in the movie. If you want to know what they are, we suggest clicking here. A few months ago it was revealed that Kong: Skull Island director Jordan Vogt-Roberts had pitched doing an adaptation of Superman: Red Son – and that Warner Bros. were then considering the idea. In a new interview, Vogt-Roberts has said that he hasn’t heard anything about the project since. “They’re not taking me up, because I have gotten no phone calls about that,” he said. “I was surprised to hear the headline, regardless of whether or not they want to do Red Son, I think that is the smartest, most punk rock thing that DC can do right now to separate themselves from Marvel is just to double-down and say, ‘We’re going to tell a bunch of crazy stories. We’re going to tell stories in different universes and different times and really play around and just tell you great stories with these characters. '” Read more here. 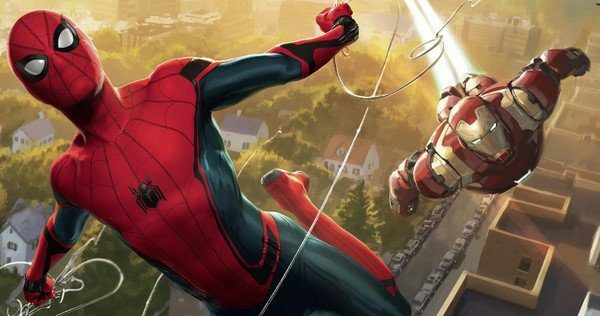 Spurred on by an impressive $70.8 million opening weekend in China – the third-biggest for a superhero movie – Spider-Man: Homecoming has pushed its global haul to $822.8 million today, surpassing fellow superhero blockbuster Wonder Woman, which has earned $816.3 million to date. Read more here. The first poster and trailer for Fifty Shades Freed landed online yesterday, which you can check out here. Catch up on the latest superhero and Star Wars news in The Week in Spandex and The Week in Star Wars, Anghus Houvouras was very disappointed with Marvel’s The Defenders, Neil Calloway looks at the Star Wars situation following Colin Trevorrow’s exit from Episode IX, and Henry Bevan looks back at his favourite Stephen King adaptation, Carrie.